Google “salsa recipes” and you will find approximately four million. 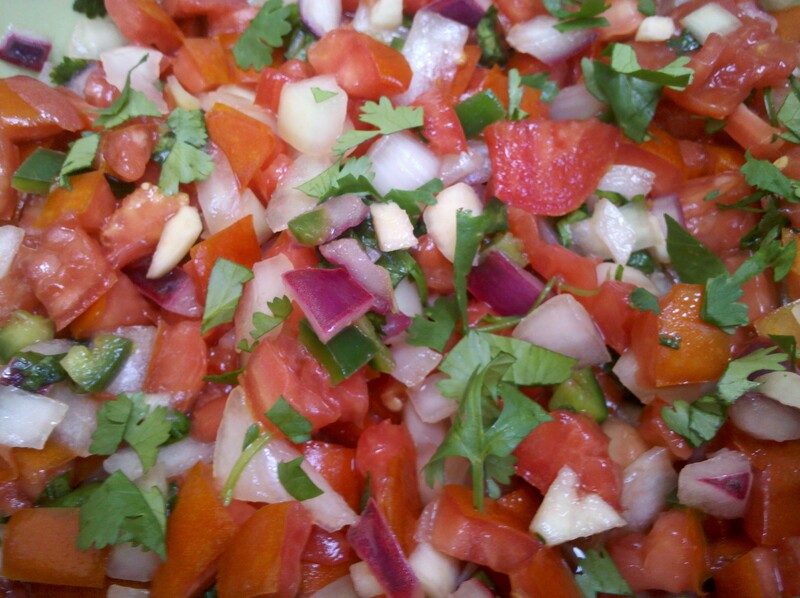 This is my own spin on classic salsa. Is it unique? Not especially. Is it a good use of ten tomatoes from a garden overrun with tomatoes? Most definitely! It is simple and fresh, with a bit of heat…probably somewhere between medium and hot. 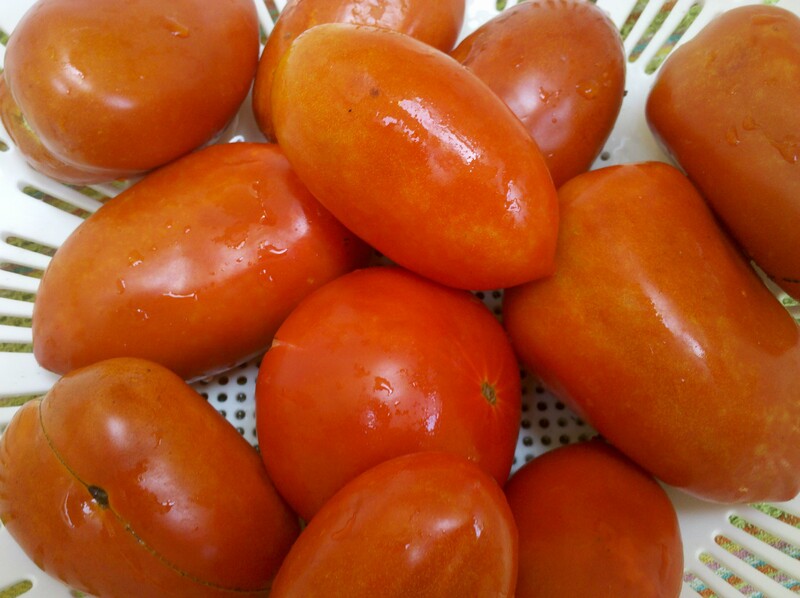 10 ripe (but not necessarily perfect looking) tomatoes. I used mostly Romas today. In a large bowl, combine all ingredients except for tomatoes, and mix well. Use caution when handling the jalapenos. Dice tomatoes and add to the bowl. Stir gently. Cover and chill for at least two hours to let the flavors properly develop. You will want to try it sooner, but don’t! It will be worth the wait. This yields a lot of liquid, so use a slotted spoon when placing in serving bowl. Almost the last of the tomato crop. 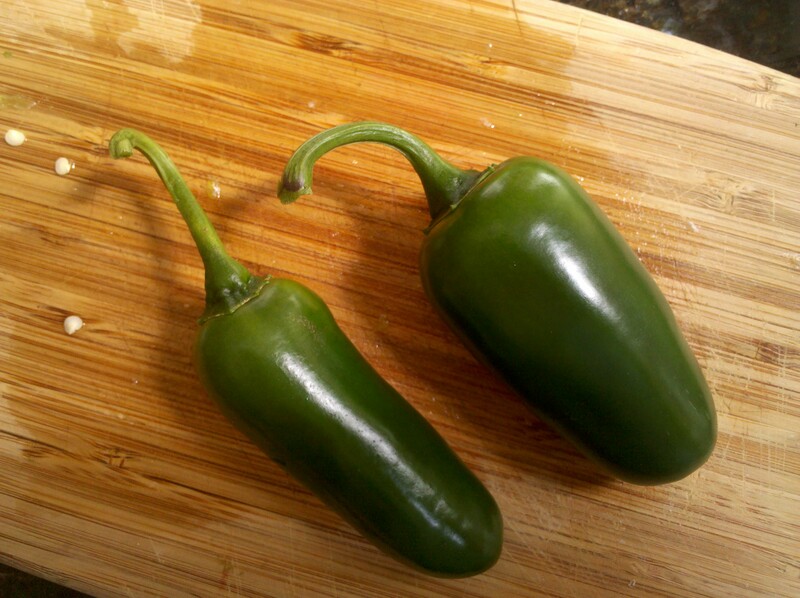 Two of the dozens of jalapenos we have growing in our garden. Just add chips and beer!